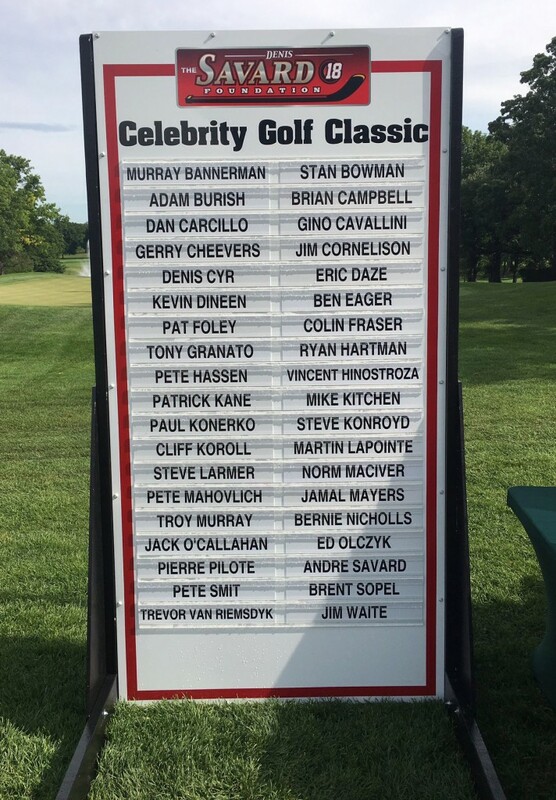 Hundreds gathered this year to support The Denis Savard Foundation’s Annual Celebrity Golf Classic. The event honored Chicago Blackhawks Captain Jonathan Toews and Army Special Forces Master Sgt. John Masson. A special thanks to all of the supporters who attended the event, the Edgewood Valley Country Club’s staff and Anything’s Possible Events for making the day happen! This past Sunday, Denis Savard joined Nick Curley, a seven-year old Chicago hockey player, who’s skating 100 miles to help raise money and awareness for the Danny Did Foundation at the Barrington Ice Arena. Denis and Nick staked 5 miles in front of an enthusiastic crowd who cheered them on during their 50+ laps. In addition to his participation, The Savard Foundation donated $500 to help Nick reach obtain his goal of raising $25,000 for The Danny Did Foundation. The foundation was created in honor of Danny Stanton who passed away at the age of 4 from Sudden Unexpected Death in Epilepsy (SUDEP).